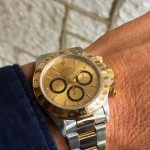 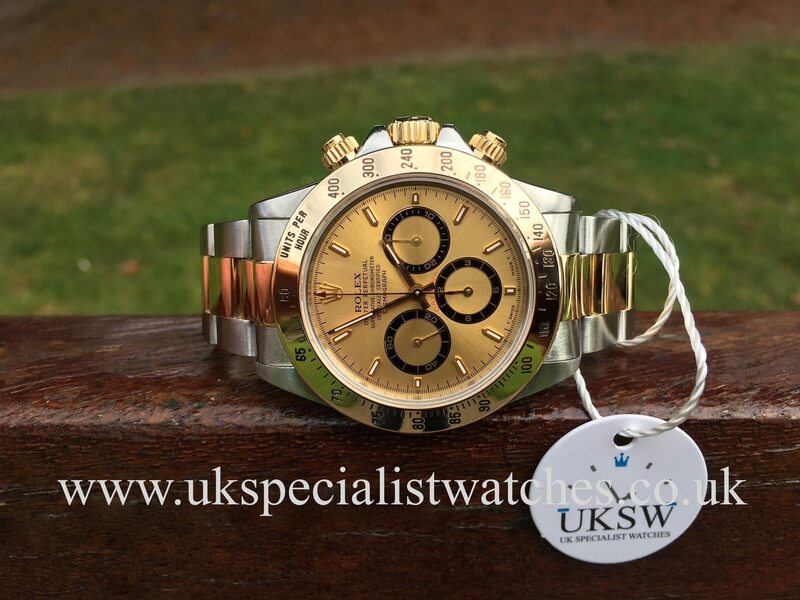 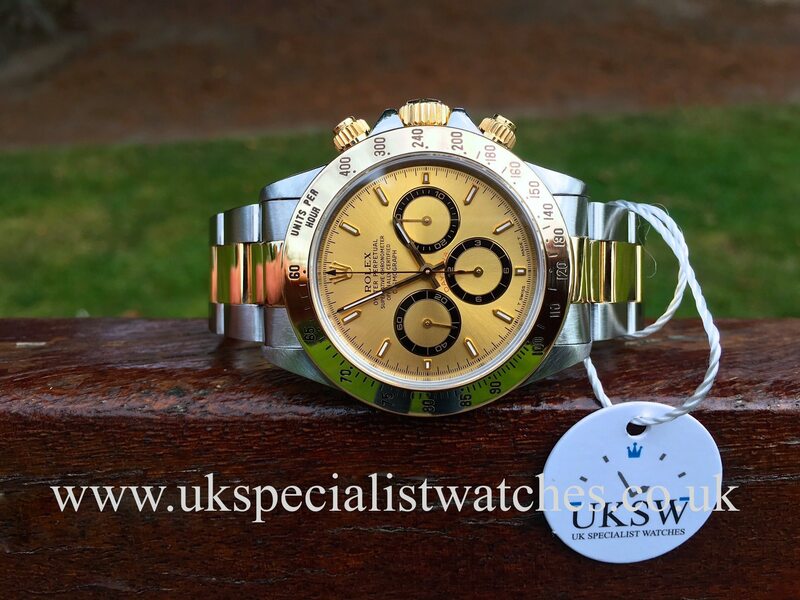 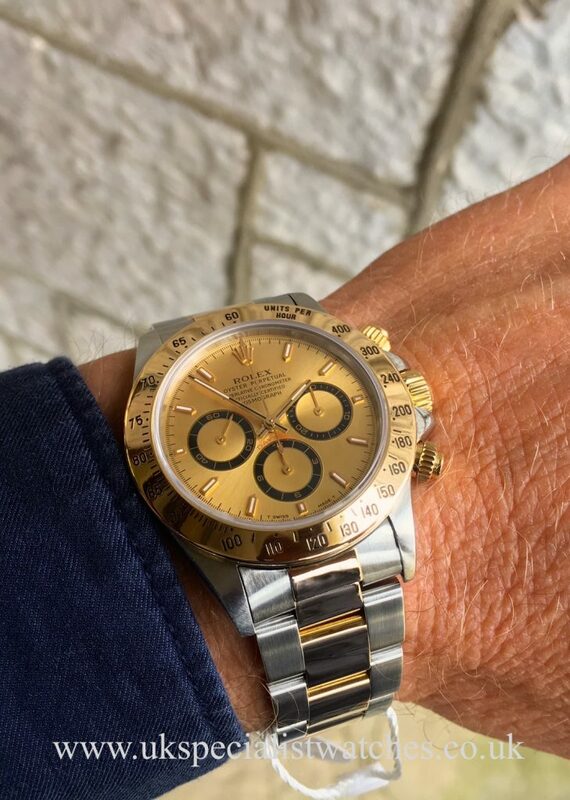 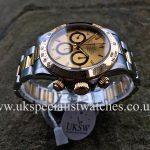 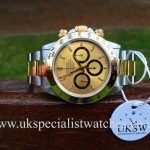 Rolex Daytona Zenith 16523 in stainless Steel & 18ct Gold. 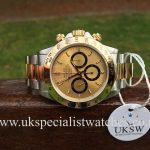 40mm stainless steel case with a solid 18ct gold tachymeter bezel, champagne dial with black sub dials. 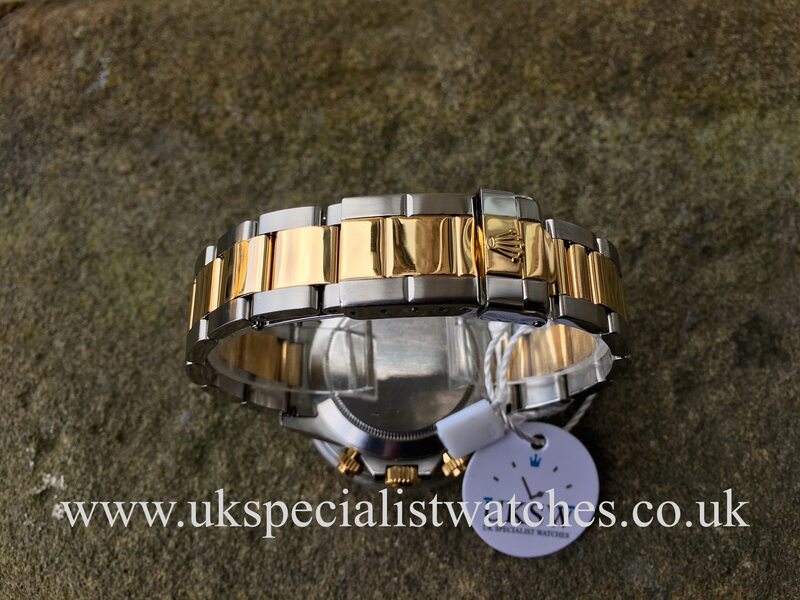 Fitted to the original stainless steel and 18ct yellow gold oyster bracelet with the later bi-metal double folding clasp. 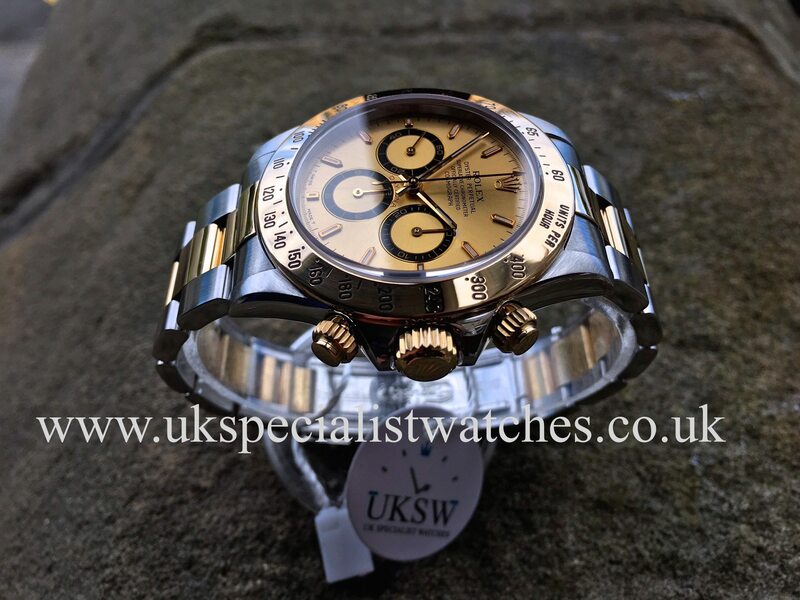 Powered by the rare automatic calibre 4030 Zenith Chronograph movement. 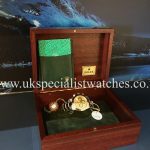 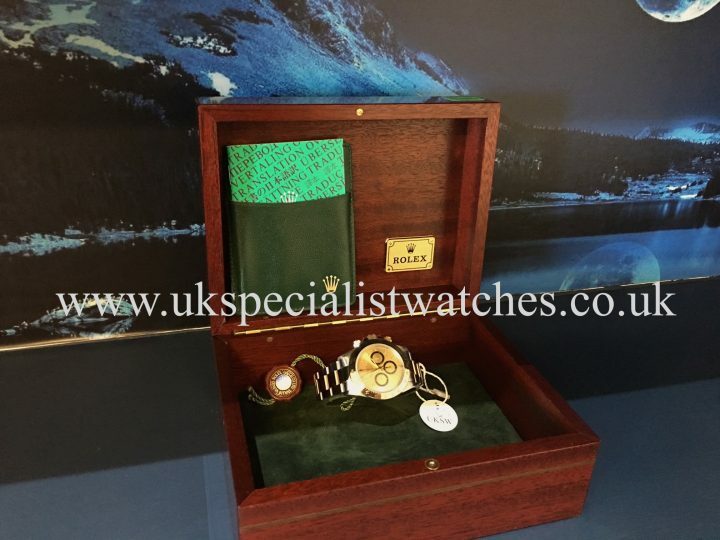 This totally pristine example comes with box, green leather wallet, booklet and swing tag. 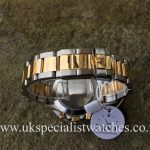 T317*** serial no, supplied new circa 1996/97.